Filtered water isn’t just better for your health, it’s also better on your budget and the environment. And when you have a water filtration system built right into your refrigerator, it’s convenient, too. Though the ground water facilities and water treatment plants in your area likely clean and filter the water that goes to your house, they can’t eliminate all contaminants. And after the water travels through long corridors of pipes before it gets to your sink, it may pick up contaminants along the way, including lead, a chlorinated taste and odour, benzene, toxaphene, particulates and mercury. This potentially contaminated water can also reach your refrigerator, which affects the smell and taste of your drinking water and ice cubes. Therefore, filtering the water through activated carbon helps to trap impurities before the water reaches the dispenser on your fridge, and ultimately, your mouth. As a last line of defense, the refrigerator water filter can eliminate most contaminants from your drinking water, providing you and your family with clean, clear and filtered ice and water. You can, of course, purchase filtered water in bottled form; but, did you know that disposable water bottles use disposable energy and produce needless waste in our landfills, which has a dramatic cost to the environment and your wallet. Over a one year period, your family could use and throw out 3,000 plastic water bottles. 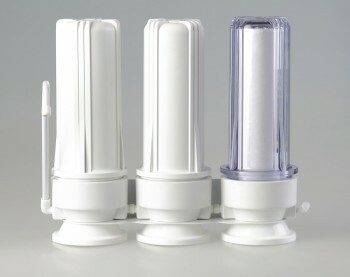 In the same amount of time you would only go through two water filters in your filtering system. It also costs you about $600 more each year to purchase bottled water versus using a filtration system in your refrigerator. Cleaner water, better energy and less expenses make us think that this is a no brainer. We offer refrigerators with built-in water filtration systems at Appliance Scratch & Dent Outlet. For more information on our energy efficient appliances, visit www.scratchanddent.ca or stop by the store at 407 Gage Avenue, Unit #4 in Kitchener. A friendly staff member would be happy to help you or take your questions at 519-743-3623.